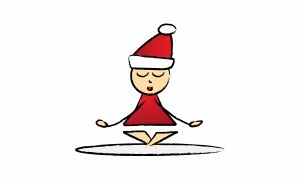 In the Kundalini Yoga lifestyle we jingle all year long even without the bells of the holiday. One of the amazing things about this tradition is that you don’t need a special time of the year to celebrate because to be honest, the celebration is everyday. As you draw closer to your true self, you begin to understand that any holiday is just an additional reason to embrace the God inside of yourself and in ALL. Just as Yogi Bhajan would say, “If you don’t see God in all, you don’t see God at all.” Tis’ the season to recognize the divine creation of each and every person and situation we are blessed with in our lives. Yes, even those stressful moments when you realize you burned your fruitcake in the oven God is still present. If you want to deck the halls this season, start out each morning by developing a daily sadhana practice where you will experience an abundance of JOY that can carry you through and beyond the holidays and the New Year. 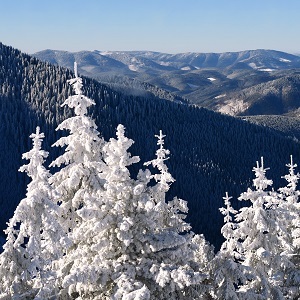 Give this amazing miracle mantra meditation a go to boost up your experience of the season and to open to the flow of your heart to receive the miracles of life in every moment. To begin, sit in a comfortable seated position with your spine straight and begin chanting the mantra Guru Guru Wahe Guru Guru Ram Das Guru 5 times in one breath then repeat again for up to 3-11 minutes. Practicing this mantra meditation wholeheartedly can open doors and dimensions in your life to elevate and help one realize the ever present energy of the miracle of our existence. You can find this mantra on Gurucharan Singh’s Miracle Mantra meditation CD. 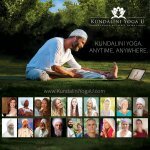 If your not quite at the place to commit yourself to a daily sadhana, at least find time to participate in some Kundalini caroling to stay inSPIRIT, despite all the hustle and bustle this time of year can bring about. Take time to whiz through your favorite sadhana tunes collection or check out my favorite cds. These sadhana cds for me are like the gifts that keep on giving. Each mantra within the Aquarian Sadhana line-up will tune your space, invite more cheer and a stable vibration into your household. You could even keep the cds on repeat on a low volume and have them playing while you entertain over the holidays to make sure all the mingling stays positive and uplifting. Everywhere you go this season, spread the mantra cheer by chanting and caroling as you do your last minute gift shopping, visit your relatives, and well in everything you find yourself doing. And remember, don’t forget to make sure to bring a the flavor of divinity wherever you go. Stay true to you even and especially during the holidays.